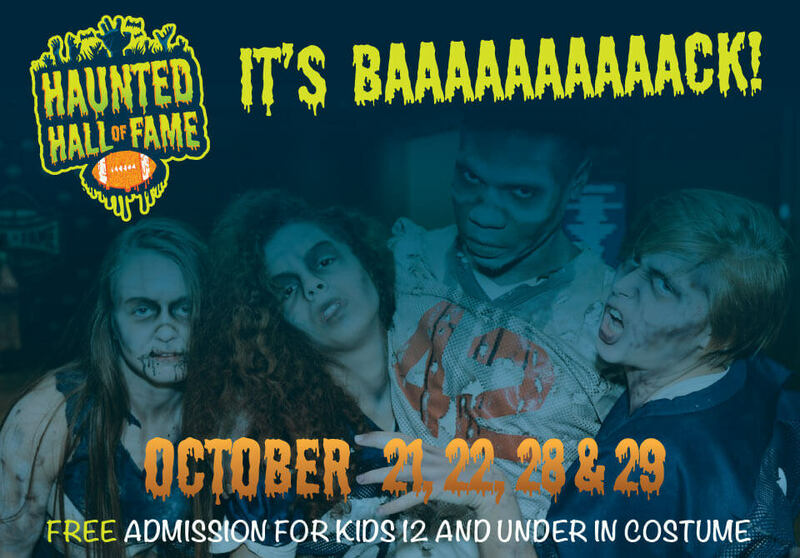 Join The College Football Hall of Fame for one of their most popular events of the year – Haunted Hall of Fame! Guests will delight in the Field of Screams and enjoy a spooky scavenger hunt, complete with candy cauldrons, while touring the Hall’s haunted hallways. Fans dressed in costumes, ages 12 and under, will receive free admission into the Hall, and each fan will receive a two-sided card with the scavenger hunt details and a trick or treat bag from the box office. Fans will have the opportunity to trick or treat throughout the building, as well as have their face painted on the Playing Field.